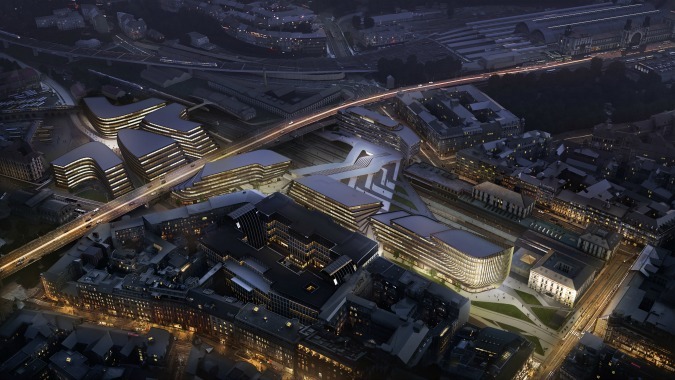 Last week the Penta Investments group unveiled plans for its Masaryk Station revitalization project designed by the Zaha Hadid Architects firm. The firm won the bid for the project, reportedly worth 6.5 billion crowns, under the leadership of visionary Iraqi architect Zaha Hadid who died in March. The developer intends to rebuild the district in stages, transforming the currently dilapidated area into a thriving business district. Planned construction would run from Masaryk Station to Florence. The first stage could be completed in three years; completion is estimated by 2023, say developers. The Central Business District would connect Prague 1 with Karlín and Žižkov. A new city park that will directly connect Na Florenci and Hybernská Streets is planned. New public areas that would function as a square would be created in the hall of the Masaryk Station and behind the arterial road at the Florenc Bus Station. 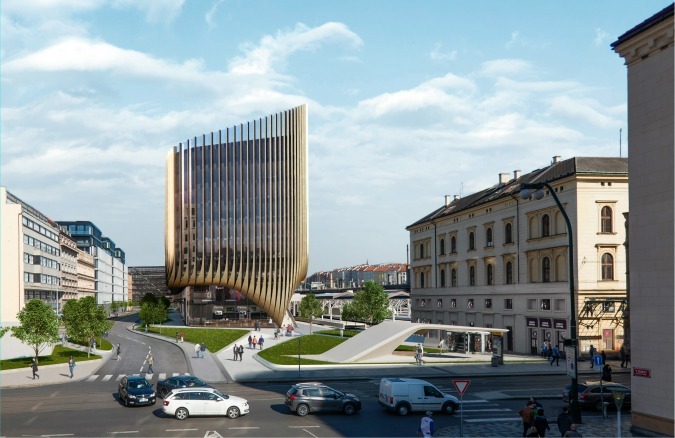 Na Florenci Street will be widened into a new tree-lined Prague boulevard under the current design, extending the center of the city from Náměstí Republiky to Florenc. Overall, the building complex offers 90,000 square meters of commercial space. 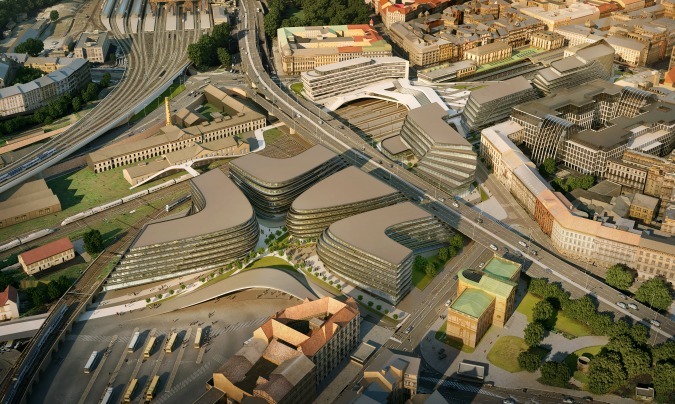 It will be one of the largest projects Prague has seen in the past twenty years.